ExcelAire has launched a web-based summary reports for private jet owners, designed to more quickly and accurately provide information on costs and income for jets. With ExcelAire’s new web-based summary reports, private jet owners now have access to the information on their jet in an easily readable format, with charts documenting spending as well as income information. 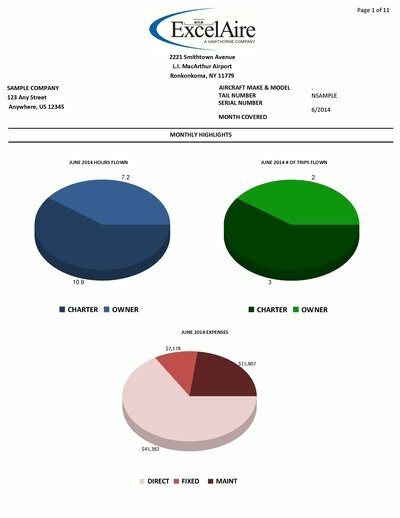 For example, ExcelAire’s reports include pie charts to illustrate the level of charter activity for their jets.